Every custom creation Knox Jewelers builds to order is crafted by hand and made to last a lifetime, if not longer. We want every custom engagement ring we create to be a dream come true, and we don’t want metal allergies to stand in the way of wearing our custom designs. As every ring we create is built from scratch, it is possible to cast your custom creation is a hypoallergenic precious metal. A metal allergy does not need to prevent you from wearing your desired types of fine jewelry, there are ways to work around this obstacle. There is no need to sacrifice your love for jewelry or the ring styles you prefer if you create your engagement ring in a safe precious metal. The first step in approaching custom ring design with a metal allergy is to understand exactly what it is that irritates your skin. An actual allergy to gold is an extremely rare occurrence. 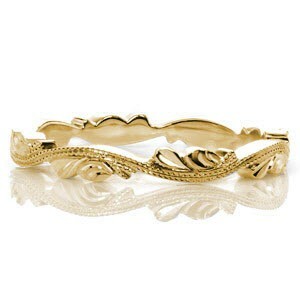 What is more common is an allergy to the alloys added to gold to make it more durable and usable in jewelry. The most common irritation we encounter is the reaction to nickle used as an alloy in white gold. Nickel is usually the cause of irritation in fine jewelry. This metal intolerance usually causes dermatitis, which is an itchy rash that appears where your skin has come in contact with the metal. Dermatitis usually disappears within a few days after removing the jewelry. If you have a metal allergy there are precious metal options available that will allow your custom engagement ring safe to wear on a daily basis. 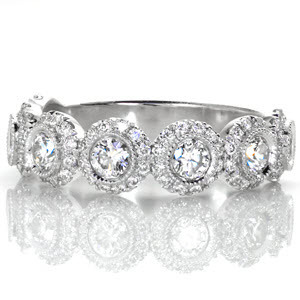 We work with numerous hypoallergenic metal that can be used to create your dream ring! 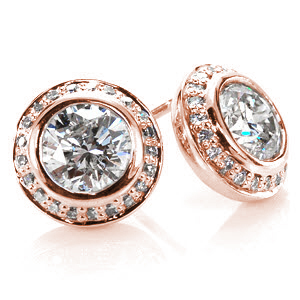 14 karat Yellow or Rose Gold is usually safe as nickel is not commonly used as an alloy in either. 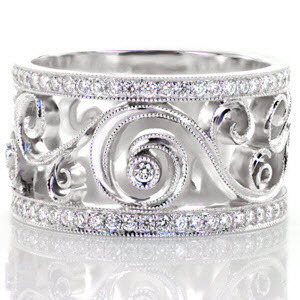 18 karat White gold could be used if your metal allergy is only mild. 18 karat will reduce the amount of alloy used by 25%, so less nickel will be present in the gold. It would not be suitable for people with severe allergies, but its usually enough to reduce irritation from a majority of customers. Platinum is a naturally hypoallergenic metal. Creating your custom engagement ring in this metal will also provide you with the durability and longevity that platinum allows in jewelry. Palladium is also a naturally hypoallergenic metal. Not all of our custom designs can be made in palladium, only a few would be manageable in the metal selection. Metal allergies do not have to prevent you from custom creating the engagement ring of your dreams. 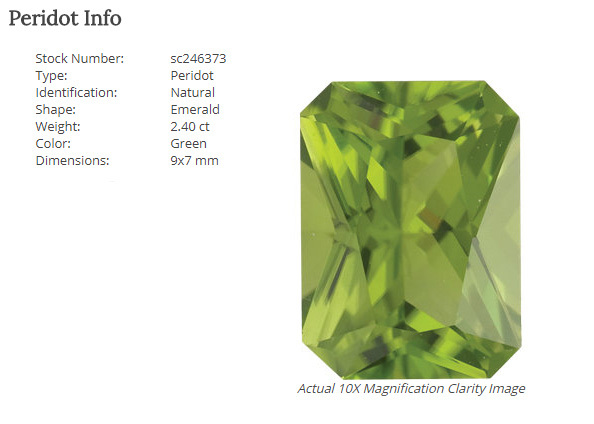 There are options available that will allow you jewelry to be safe to wear on a daily basis. Contact us today and inquire about the precious metal options available to you, we can absolutely work around your allergies! Queen Elizabeth II will be celebrating her Sapphire Jubilee this upcoming Monday to mark 65 years on the British throne. 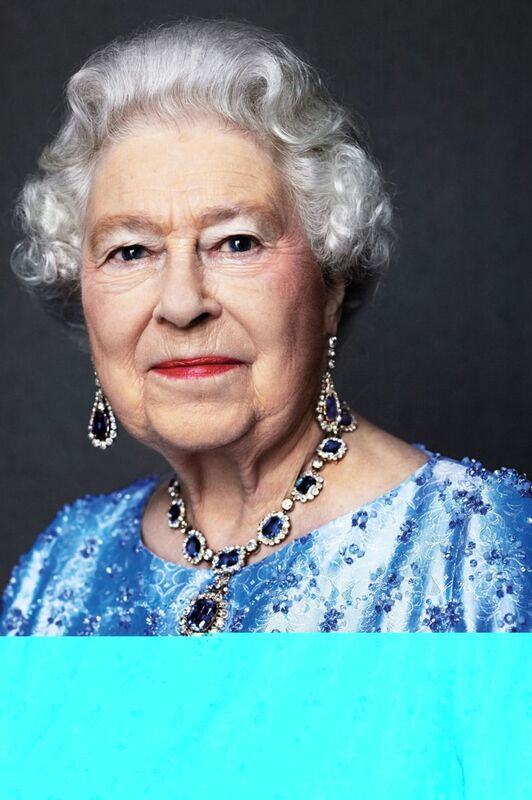 The Queen will be the first British monarch to reach a sapphire jubilee; already becoming the United Kingdom’s longest reigning monarch in 2015. Few British monarchs have surpassed their golden jubilee celebration, which marks 50 years. A famed portrait of the queen taken by renowned photographer David Bailey was reissued to honor the anniversary. In the photograph she wears a suite of sapphire jewelry gifted by her father King George VI as a wedding present in 1947. 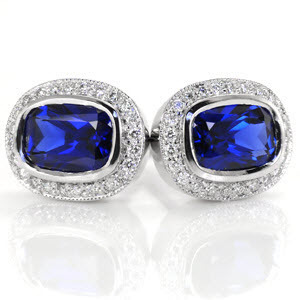 The set includes a necklace featuring 16 blue sapphires surrounded by diamonds with drop earrings to match. The Queen also commissioned a matching tiara and bracelet in 1963 to complete the suite. 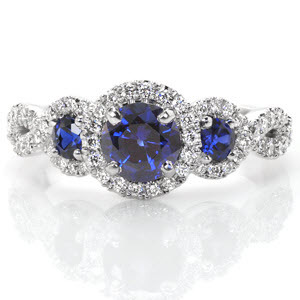 With this inspiration at the forefront, Knox Jewelers would be overjoyed to assist you in custom creating sapphire jewelry fit for a queen. We have several loose blue sapphires available, in many sizes and shapes, just waiting to be fit into a beautiful custom jewelry piece. Draw inspiration from the royal suite and pair dazzling diamond halos framing your perfect blue sapphire for a regal look. 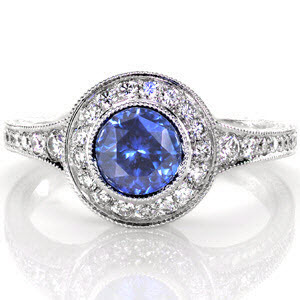 We have several sapphire halo designs featured on our website that can be altered to your specification, or we could start anew with a sketch and bring your perfect sapphire jewelry to life. 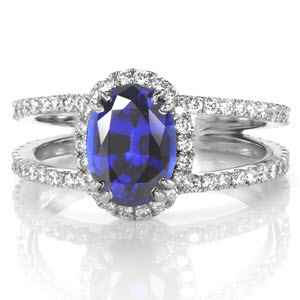 Contact us today to get started on your one-of-a-kind royal sapphire jewelry. 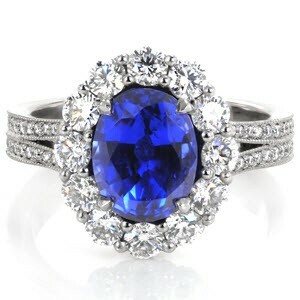 You are sure to feel like a queen with deep blue sapphires set into your perfect custom setting! Though our forte may lie in the creation of one-of-a-kind custom engagement rings, we excel in hand crafting a wide spectrum of custom jewelry pieces. These include unique matching wedding bands, wider right hand rings and even elegant diamond and gemstone earrings. Custom created jewelry pieces are the perfect way to express who you truly are and your unique-to-you style. At Knox Jewelers we specialize in designing custom rings and jewelry that are tailored for each customer and built from the ground up. You do not need a special occasion to invest in everyday essential jewelry or statement pieces. We are always at the ready to assist you designing the perfect wedding band, mother’s ring or a meaningful pendant. If you have at one time commissioned Knox to design your engagement ring or wedding bands, the fun should not stop there! Complete your jewelry wardrobe with everyday stud earrings, a whole hand of unique stacking bands or even a wider statement ring. Think of the pieces we could create to pair against and compliment your unique design! For most women, her engagement ring is not the only bauble she wears on a daily basis. Listed below are some suggestions on where your jewelry voyage should venture next. 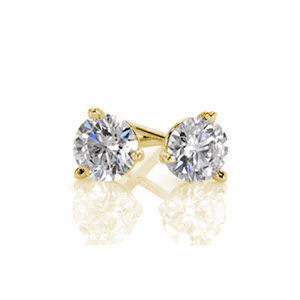 No jewelry wardrobe is complete without a classic and versatile pair of diamond stud earrings. 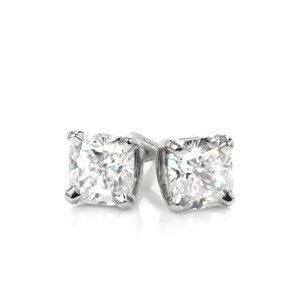 Have a three-prong or four-prong setting paired with your favorite diamond shape, or be bold and add a sparkling diamond halo! Although your custom engagement ring dazzles on your left hand, your right can not be forgotten. 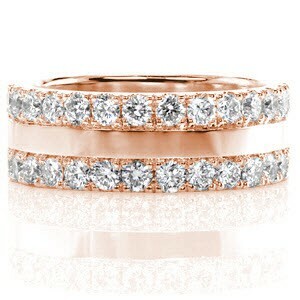 Choose one of our signature wide band rings and both hands will be a jewelry masterpiece. 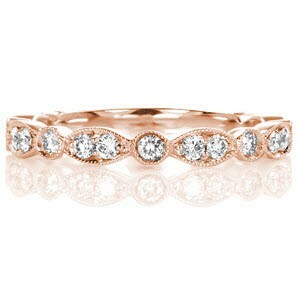 We have several wide band styles to choose from, or we can start from scratch and create a ring from an idea or sketch. Let the stacking begin! Be it a wedding band, an anniversary band, a mother’s ring or just a patterned band that catching your eye; your ring stack is all your own. 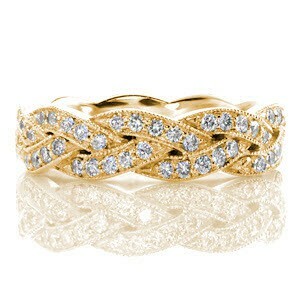 Pairing bands together or against your engagement ring is the current trend. We have aided in the demand by crafting several new designs made especially for stacking. Curate your perfect collection by mixing bead-set diamond, hand engraving, milgrain and filigree for your one-of-a-kind stack. Contact us today and start growing your jewelry collection. Choose everyday essentials like the perfect pair of diamond earrings, or think outside the box and custom create your very own signature wide band ring!